you need to know where you’re going? as well as in life and business. The problem is that most of haven't taken the time to tune into ourselves and discover what it is. What outcome or change do I want to see in the world? And why do I want it? When you dream big and dream bold and really craft that vision for yourself, it gives you a reason to take action. 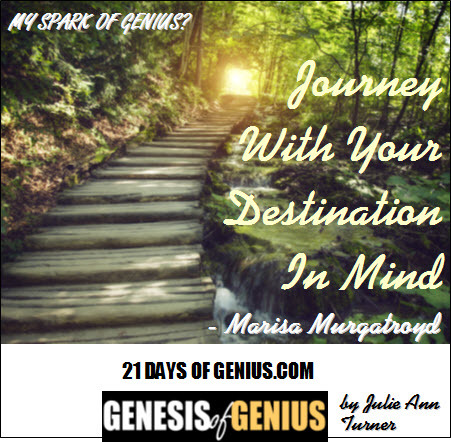 It gives you a reason to draw from the well of genius hidden deep inside of you. It gives you a reason to find the internal resources – and resolve – to make just about anything happen. So if you ever feel stuck or blocked or frustrated or even overwhelmed, chances are you haven't dialed into what you really want. You don't have a big enough WHY to spark yourself into action and release the genius that's just waiting for a cause that's big enough and worthy enough to express itself. That's why you see people release unimagined strength or genius in the face of challenge or crisis – there's a threat to their community, a loved one is sick, they've lost their job – because all of a sudden that WHY becomes crystal clear. So my message to you is to tune in and ask yourself those hard questions. Discover what you really want and why you want it and you'll be surprised what comes out of you when you do! 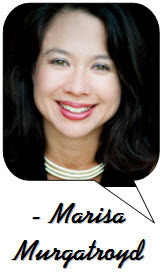 Marisa Murgatroyd is the founder of Live Your Message and Superhero Summits. She shows entrepreneurs with a big message for the world how to build a leading brand and lucrative web presence -- everyone from leading experts like Don Crowther & Alexis Neely to beginners (through her signature programs Message to Money and Hidden Story Power).